Navdhari Bhindi also known as the Shravani Bhendi or Gavathi Bhendi in Marathi is a variety of the lady’s finger/okra. It gets it names Navdhari from the 9 distinct segment that it has on its surface. 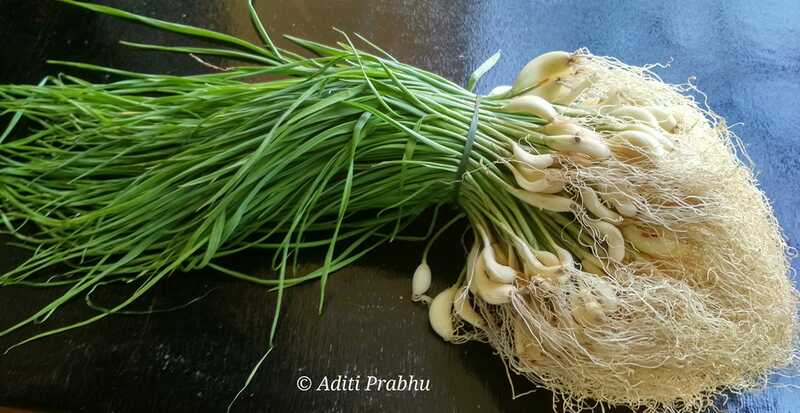 Continue reading "Navdhari Bhindi / Shravani Bhendi / Local Okra"
Kantola / spine gourd, the small spiny vegetable can easily pass as a distant relative of the bitter gourd. They look somewhat similar in appearance but there is no similarity in taste. 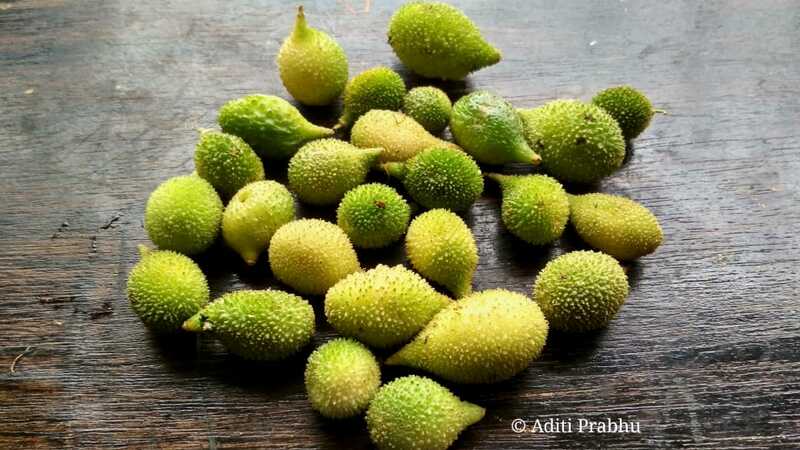 Continue reading "Kantola / Spine gourd : Availability, Nutrition and usage"
Takla or Cassia Tora: Availability, Nutrition and usage. 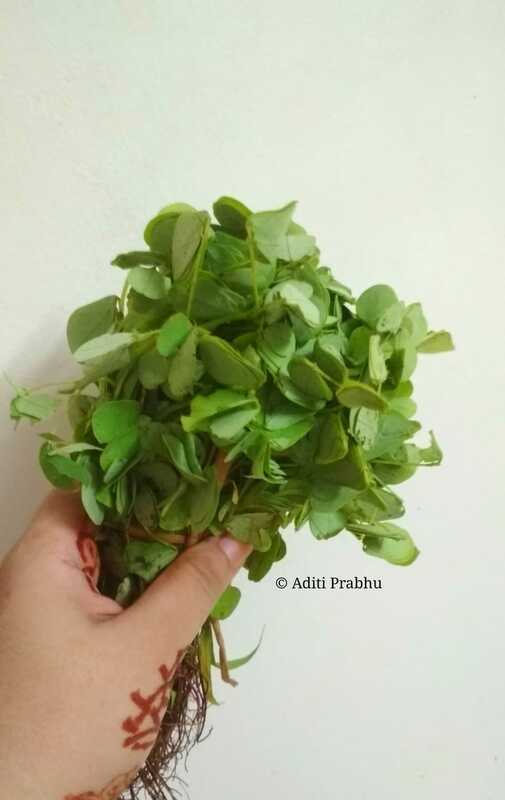 July 13, 2018 September 28, 2018 | by Aditi Prabhu | 1 Comment on Takla or Cassia Tora: Availability, Nutrition and usage. 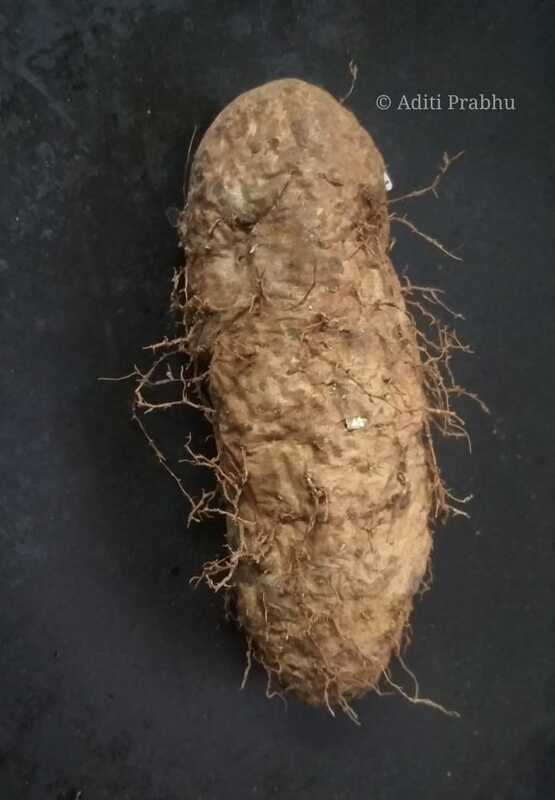 Takla pronounced as टाकळयाची भाजी is a leafy vegetable that is specifically available during monsoons. 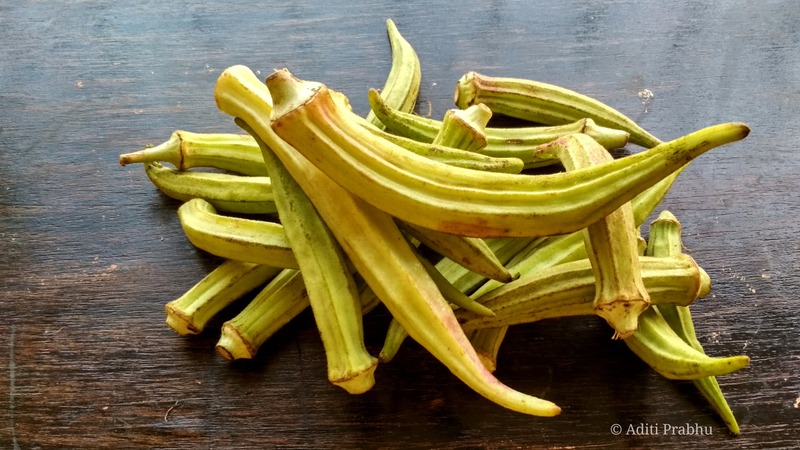 Continue reading "Takla or Cassia Tora: Availability, Nutrition and usage."